Portable Draft Beer Keg Coolers: Perfect for the Outdoors! How do you plan to store and cool beer kegs during a concert or outdoor party? Keg coolers can be portable and provide great performance for parties, receptions, and more. 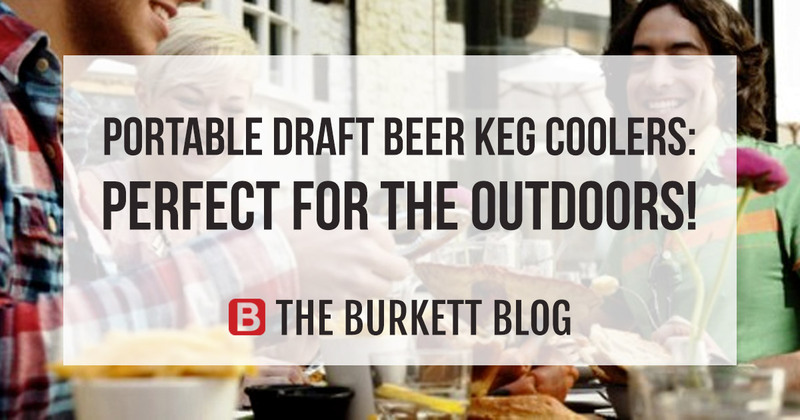 Burkett Restaurant Equipment carries a variety of portable draft beer keg coolers, all of which are the perfect accessory for your outdoor events and catering! Two coolers that we suggest are from True Manufacturing, a leader in the refrigeration industry. 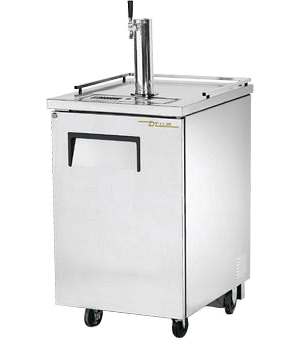 The True TDD-1 Keg Cooler allows you to keep a keg of your customers’ favorite draft right in front of the bar. This beer dispenser is designed with enduring value and quality. It is made with the highest quality materials, and assures colder product temperatures and years of trouble-free service. This oversized, factory balanced, refrigeration system holds 33°F to 38°F (.5°C to 3.3°C). With a stainless steel counter top and black vinyl exterior, this cooler not only looks great, but hides scratches and dents well. 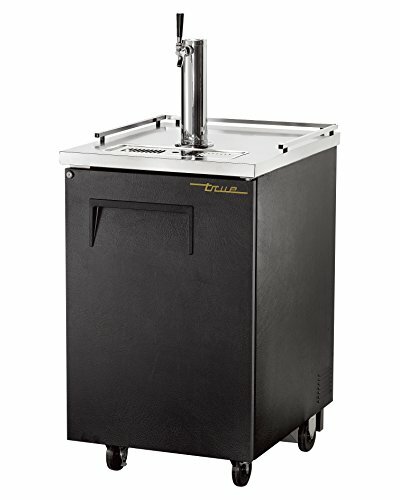 The True TDD-1-S Keg Cooler from Burkett Restaurant Equipment lets you provide your customers with chilled-to-perfection brews. It also keeps your drafts fresh for long periods of time, all without reducing quality or taste. It is also an oversized, factory balanced, refrigeration system that holds 33°F to 38°F (.5°C to 3.3°C). Its interior features a stainless steel floor with 1/2″ (13 mm) reinforced lip, and heavy gauge galvanized steel walls. It is NSF-7 approved for bottled and packaged product. The cooler comes with an anodized aluminum glass rail on top that provides convenient storage for glasses. Keg coolers are available in different materials and sizes, and finding the right one for you is easy with Burkett. Visit our website for the current selection, and contact a sales representative for more details or questions. Your guests deserve the coldest draft beer and fast service, so give them both with a draft keg cooler from True. 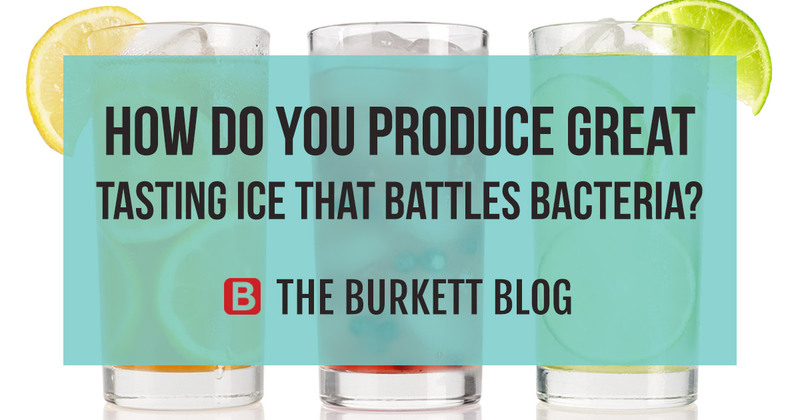 How do you produce great tasting ice that battles bacteria? There is some exciting new technology now available from Ice-O-Matic! The O3-Matic Ozone Delivery System is a groundbreaking sanitizing system that infuses ozone into the water of your ice machine. The O3-Matic works like this: the device attaches to the incoming water line and water flows through the device, where electrolysis creates the ozone directly in the water. That water is then frozen into the ice cube and the ice goes into the bin. This ozone-infused ice has many benefits for both you and your customers! Ozone is FDA approved as a water additive and can eliminate odor and improve taste, making your iced drinks even more enjoyable for your customer with every sip. The O3-Matic even makes your life easier with its sanitization benefits. 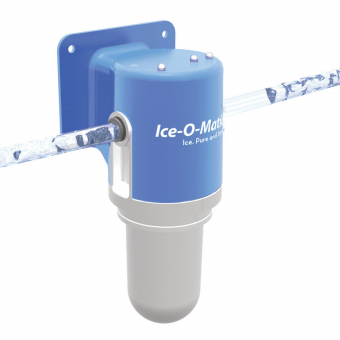 The O3-Matic’s ozone infusion significantly reduces the growth of bacteria throughout the entire path of the ice. Ozone is more effective against bacteria than chlorine! The addition of a small amount of ozone eliminates odor and common microorganisms while improving taste, all without any of the chemical trace odors that other antimicrobial treatments use. This means that your machine, bin, and dispenser, as well as any utensils that come into contact with the ice, are all benefitting from the ozone. The ozone kills bacteria, sanitizing all that it touches, and also slows the growth of new bacteria. The device is effective against mildew, mold, yeast, algae, and viruses. The O3-Matic is the only device that can make the claim that by using it you are sanitizing your machine more effectively. While not a substitute or replacement for cleaning and maintaining your machine, the O3-Matic increases the intervals between cleaning and sanitizing your machine, saving you precious time and money. Are you ready to add this NRA Kitchen Innovations Award Winner to your ice maker? Burkett Restaurant Equipment and Supplies can help! The O3-Matic is designed for modular cube ice machines and fits all existing Ice-O-Matic units. Stop by our showroom in Perrysburg, OH, or go to Burkett.com to get your Ice-O-Matic O3-Matic Ozone Delivery System today!